The importance of organized optometry cannot ever be overstated. Without organizations like the American Optometric Association (AOA), our state associations, and local societies, the profession that we enjoy would not exist as we know it. Banding together for the common greater good is in the fabric of optometry. The AOA is the premier representative organization for our profession on the national stage. The 121st AOA Optometry’s Meeting was held on June 20-24, 2018, in Denver, Colorado. 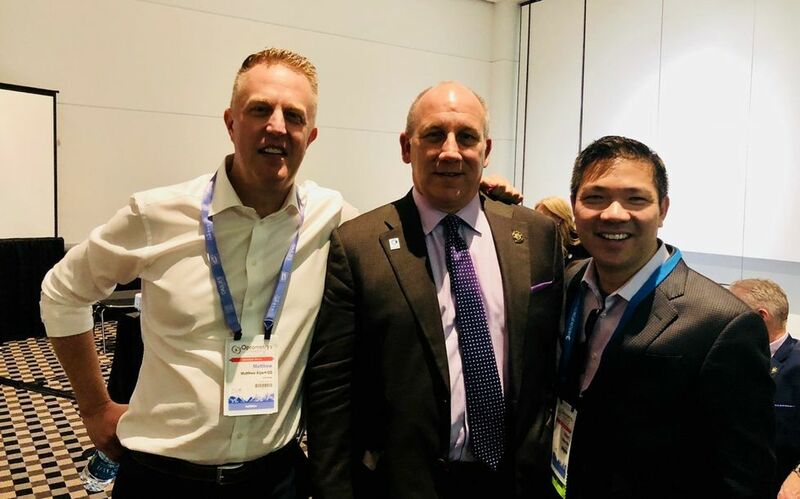 With thousands of optometrists and AOSA (American Optometric Student Association) optometry students in attendance, Optometry’s Meeting was again a stunning success, and a delight to attend. 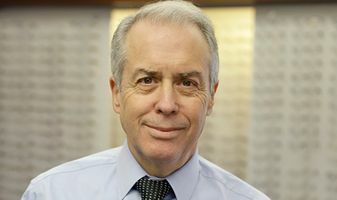 The meeting offered an opportunity for colleagues to reconnect, receive legislative updates, learn about the industry and technology developments, and experience world-class education. The VSP Board of Directors congratulates the newly installed 2018-2019 AOA officers and trustees on a smooth leadership transition. For these doctors, this is the culmination of their career-long efforts. The entire volunteer structure is selflessly dedicated to advancing the profession. Congratulations to the new 2018-2019 AOA officers and trustees! VSP was founded by a small group of optometrists in Oakland, California, in close partnership with the California Optometric Association (COA). The majority of the VSP Board of Directors is also comprised of optometrists, who strive to provide the highest quality of patient care every day. We encourage our participating network doctors (around 40,000 strong) to join their local societies, state associations, and the AOA. It is paramount to give back to the profession that has given us all so much, not only in the form of membership dues. I encourage all of us to get involved, join a committee, or step up to serve as an officer. If we don’t actively protect and advance our own profession, no one else will! Today, 60 years after its inception, VSP remains a truly doctor-directed company. The founding mission of VSP is to support independent optometry. The industry landscape has changed, but every decision and action made by VSP affects all providers alike, including the practicing doctors on our Board and State Professional Representatives. For example, VSP promotes a Coordination of Benefits program to help transition vision care patients, connected to our offices by VSP, into medical patients. This is a significant practice builder for us. Recently VSP became a founding supporter of the AOA’s new Healthcare Alliance for Patient Safety, known as the APS. Top issues being addressed by the APS are online refractions and contact lens safety. 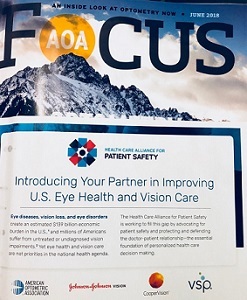 VSP is collaborating with aligned organizations, like the AOA and state associations, to preserve the doctor-patient relationship and protect the eye health of our 90 million patients. VSP is committed to the support of organized optometry. We recognize that active involvement in the AOA is critical to the future success of our profession, and we encourage all of our member doctors to join and participate.